Richwood is the leader in innovative tackable solutions. Our base tackable material—wood-fiber Softboard—allows us to have great flexibility in developing tackable panels of many sizes and thicknesses. Many of our tackable solutions meet or exceed industry environmental standards - ask us about FSC® certified products! For more information on our standard tackable products, or to discuss a customized solution, please contact us. FSC® Mix Credit Certified, wood-fiber Softboard, with a smooth finish and consistent density. FSC® Mix Credit Certified wood-fiber Softboard coated with our Class-A FSR (Flame Spread Rated) paint. FSC® Mix Credit Certified, with excellent tackability and greater board stability than comparable wood fiber-based panels. Very consistent thickness and density, and smooth, blemish-free surface. Tackable panel constructed with a Softboard core and PolyBak™ backer on the face and back. 1/2" thick tackable corkboard panel, with a premium cork veneer face and Softboard core. 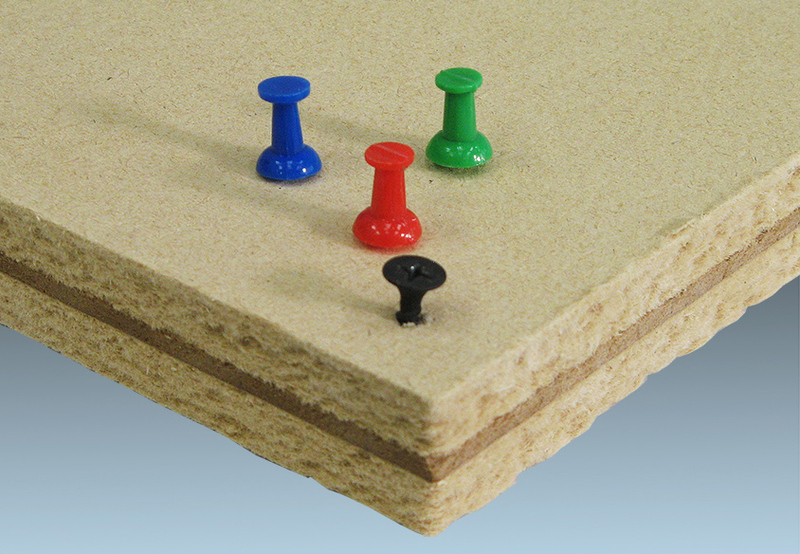 Softboard panels on the face and back of high-density fiberboard (HDF), creating a tackable panel that does not need framing and securely holds both screws and tacks. At Richwood, we strive to be the preferred partner of our customers by developing solutions to meet their true needs. To discuss the specific needs of your project with one of our knowledgeable representatives, contact us.